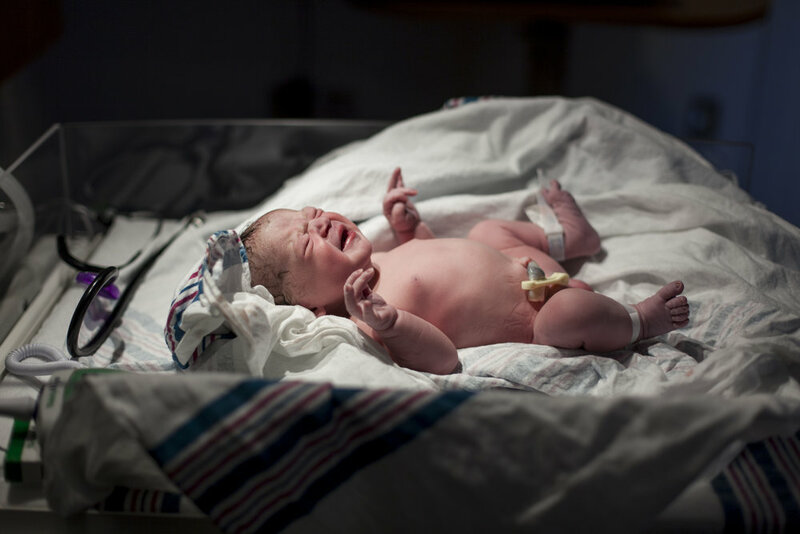 I was very excited when Tara contacted me to photograph her birth in Oakville, ON. 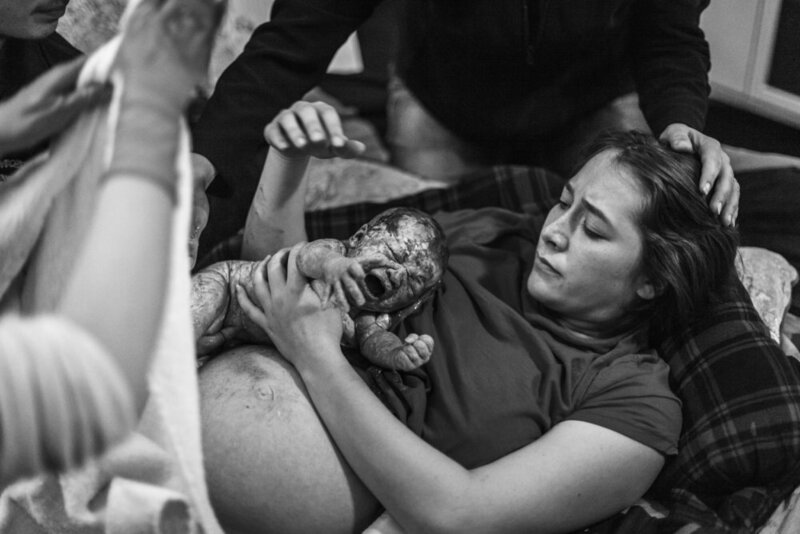 She was pregnant with her third and had hired a photographer for her previous two deliveries. So Tara was not new to birth photography and knows the value of having those precious moments captured and preserved to look back on. It took less than an hour from being admitted to the birth suite for Tara to deliver her beautiful little baby. 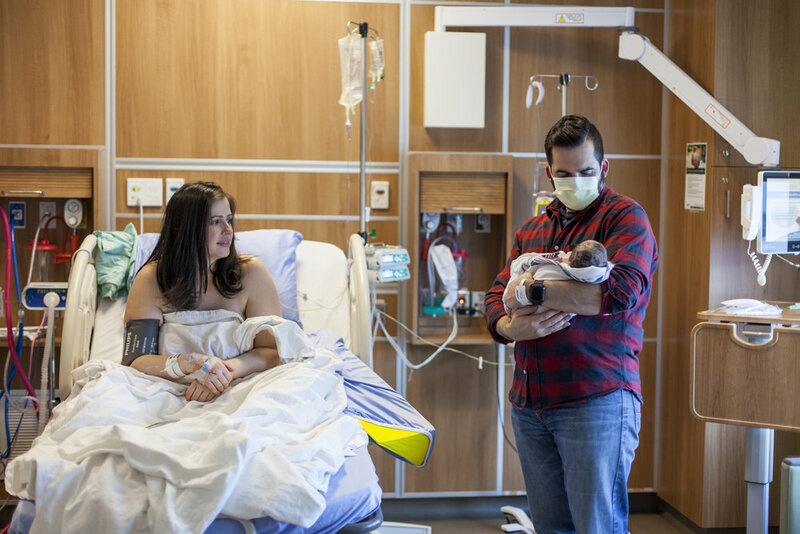 It was amazing watching how hands-off the nurses at the Oakville Trafalgar Memorial Hospital were once baby Abigail was earth side. 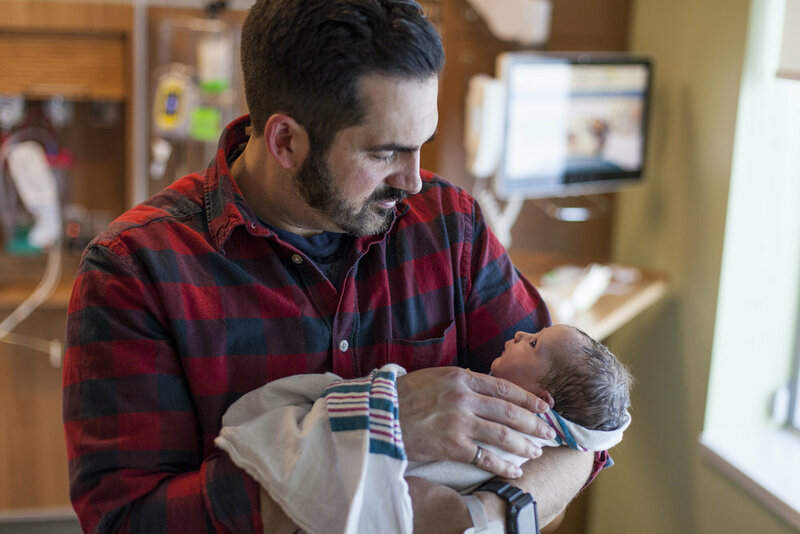 The delivery team gave Tara and baby lots of time to enjoy skin-to-skin and affectionate snuggles before they went through the motions of weighing and measuring her. After, Tara was able to get some well deserved rest in recovery. I LOVE being able to capture mom and dad’s reaction to finally seeing their baby for the first time! If you are expecting and have considered having your birth story photographed, send me a message or fill out the form below. I would love to connect with you! I have had the pleasure of getting to know Cam over the last 9-10 months and to witness what a great mom she is to Theo and her new little one Kate-Lynne. I have also enjoyed watching Theo go from an only child to being a big brother. He has such an inquisitive mind and I like to watch him explore everything around him. Since moving to Canada last August I only photographed one mom during her pregnancy, that is until I got Cam in front of my lens in September. It was a beautiful day and Cam looked radiant. When I spoke to Cam about her delivery plans and she mentioned that she was planning a home birth with a midwife I got very excited for her. There is something so peaceful and comforting about delivering your baby in your own home. 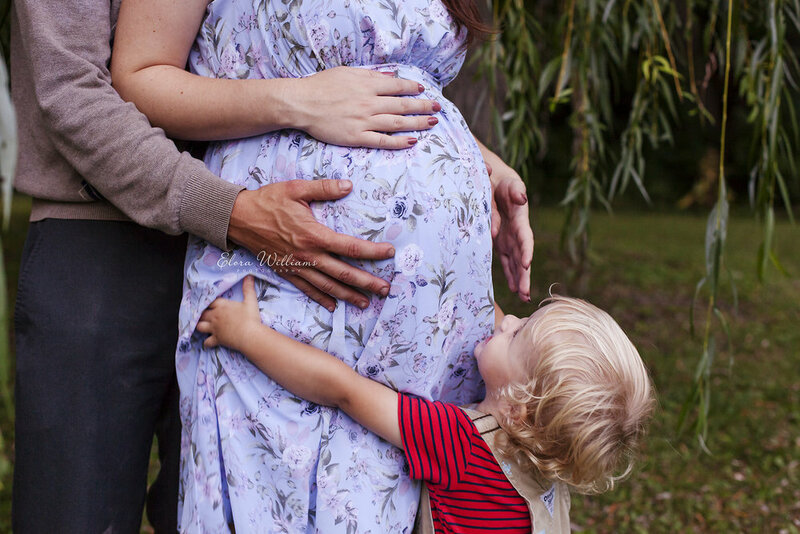 If you are expecting and have considered having a home birth I definitely recommend looking into it and speaking with the midwives in your areas to find out more about it. I had been notified by Cam the morning she went into labour. She was slowly progressing and taking things easy. 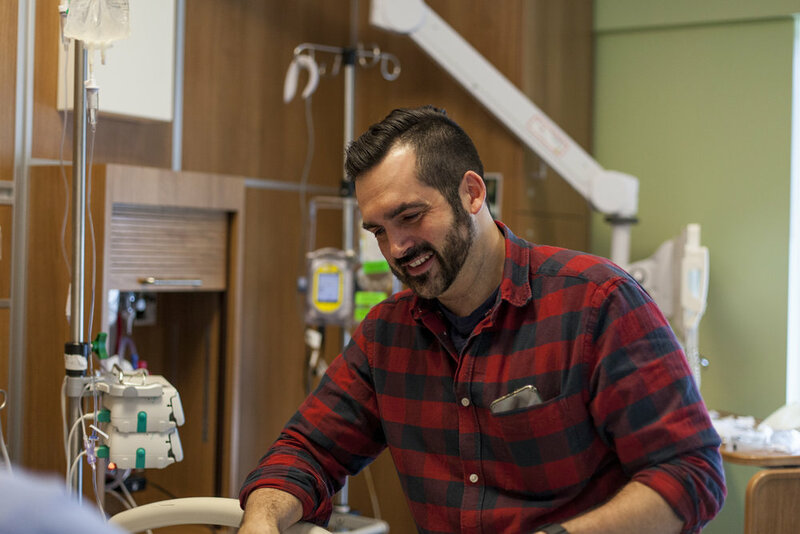 Later that afternoon I got a message telling me she had been checked by the midwife and was in advanced labour, so I hit the gas pedal and made my way there as fast as I could. Her labour was progressing so quickly I made it there less than an hour before baby was born! 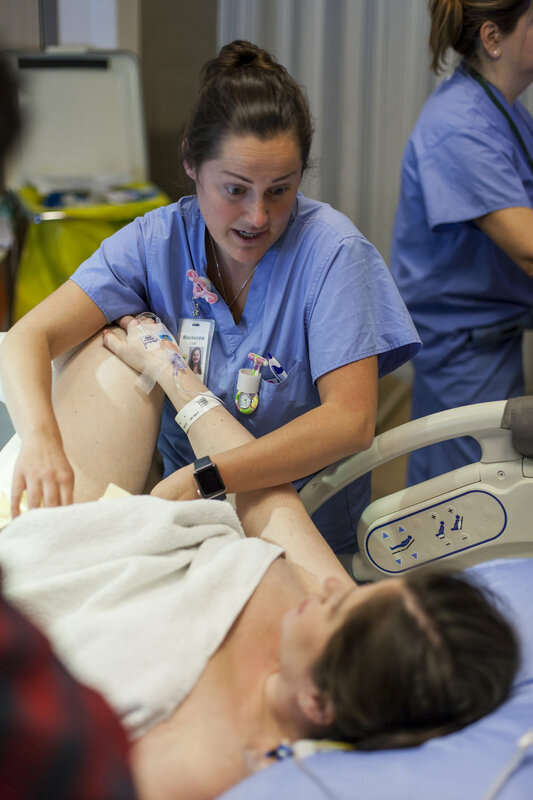 A rare event happened during Cam’s delivery, her baby was born with a caul. This is when a baby is born covered fully or partially by the membranes of the amniotic sac. This occurs in fewer than 1 in 80,000 births. And get this, Cam was also born with a caul! How special is that?! If you scroll up and look closely at the picture of Cam holding Kate just after she was delivered you can still see the membranes on the top and left side of her head! Have you or anyone you know experienced a home birth? How did it go for you or them? 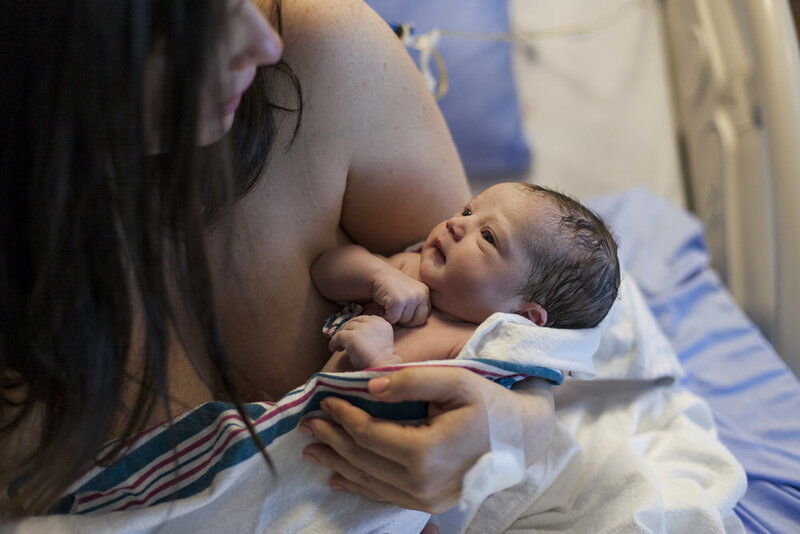 What are your thoughts about having a baby born in a caul? Who can give better advice and insight than those who have been through it themselves? I asked a group of moms to give some words of encouragement to all you soon-to-be moms out there. If you have anything to add to this list please leave a comment and continue to encourage and love on the new moms! If you know me, you know my family means everything to me. We spend a lot of time together and are actively involved in each others lives. So it is safe to say that my sister Sarah’s life has influenced me on numerous occasions and has lead me to choose newborn photography and ultimately birth photography as my career. In my last year of university Sarah surprised the family with special news that she was pregnant. The thought of having a little niece or nephew to cuddle and kiss overwhelmed my thoughts. I decided that once the baby was born I was going to photograph the mess out of him/her. So I set about learning all I could about newborn photography. I looked up articles, watched videos, purchased tutorials/workshops, anything I could do to learn how to get the best photos. I even had the privilege to apprentice with Deanna while I was still living in Toronto, which boosted my confidence and paved the way for my future in newborn photography. God’s timing is amazing and allowed for me to be at my nephew Ben’s birth. Sarah went into labor while I was still at home (in the Bahamas) at the end of my Christmas break. 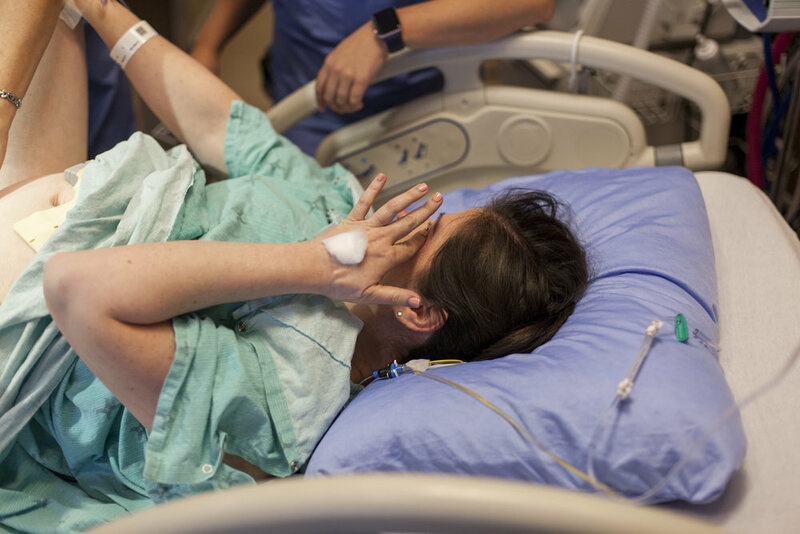 Her doctor was so accepting and allowed me to photograph the labor, except for the final moments of pushing because of the hospital’s policy[. 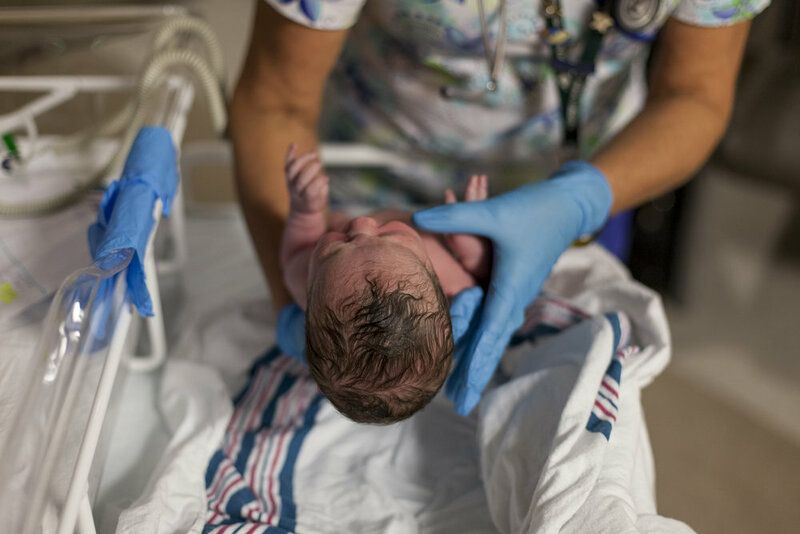 The atmosphere in the delivery room was very relaxed which was perfect for me because I had no knowledge of labor or of how to photograph it. Sarah was induced in the early morning and the extended family arrived at the hospital shortly after. However, hospitals in Nassau are very strict and Doctors Hospital would only allow two people in the room during labor. 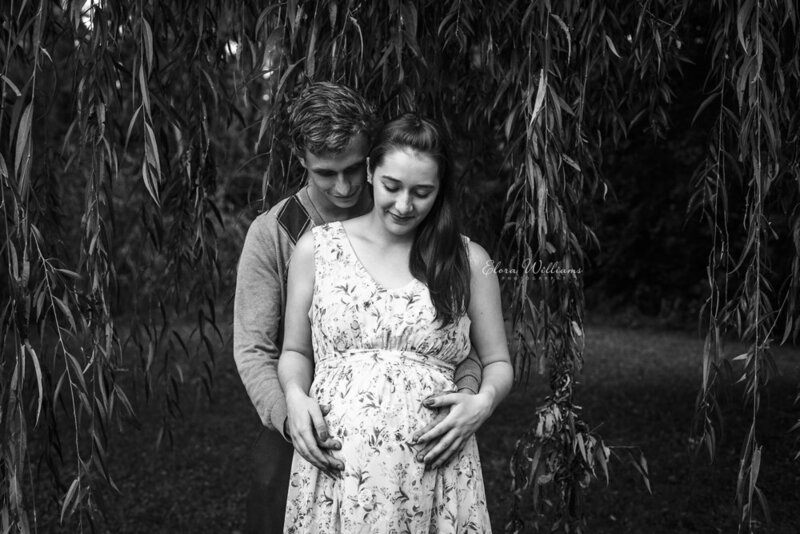 I believe this created a more intimate setting for Sarah and Daniel, which allowed them to focus on each other and the little life they were about to bring into the world. 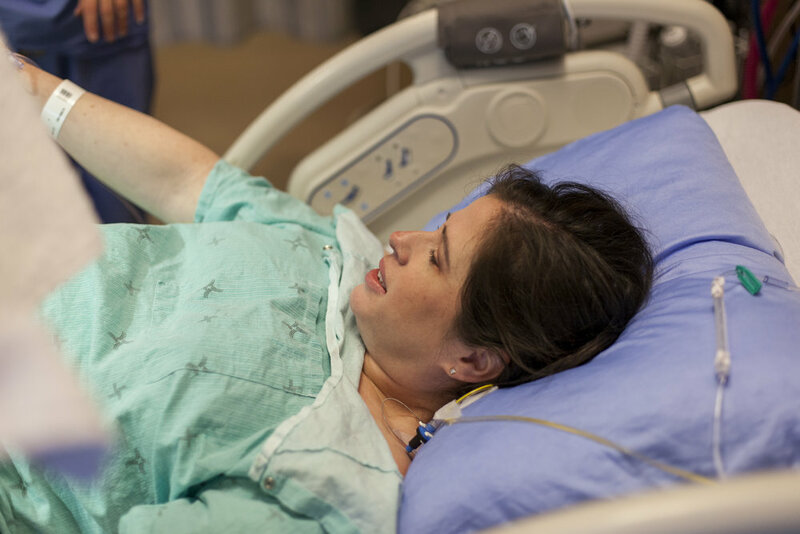 Labor progressed slowly and Sarah was forced to spend a lot of time in bed because of an epidural. The hospital room we were in was very limited with available natural light. There was only one window, however I did not feel comfortable or experienced enough to ask about opening the blinds. I was forced to work with dim lighting and was pushed out of my comfort zone. It was definitely eye opening to how unpredictable birth and the setting in which it takes place in can be. 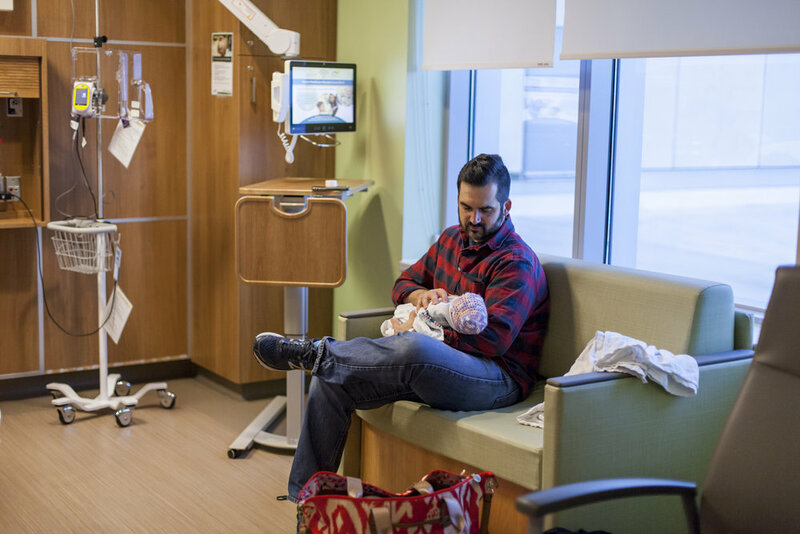 Many times throughout Sarah’s labor I was hit with intense emotions but nothing compared to how overcome with emotions I became when she was in the final moments of labor. There is something just so powerful about a woman giving birth to her child. To see the hard work that she and her body goes through, and then to see mother holding baby and the look of triumph on her face. 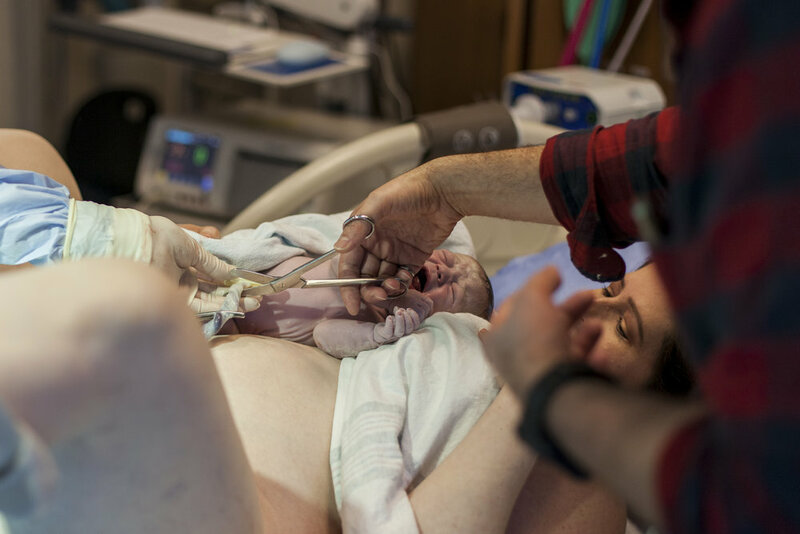 This event seven years ago lit a spark in me that burned dimly at first and over time became a passionate flame for documenting birth through photographs. Benjamin was born almost seven years ago, but I didn't get into birth photography in Nassau because of the limitations put forth by the hospitals. Three years after Ben’s birth Sarah gave birth to Abigail. 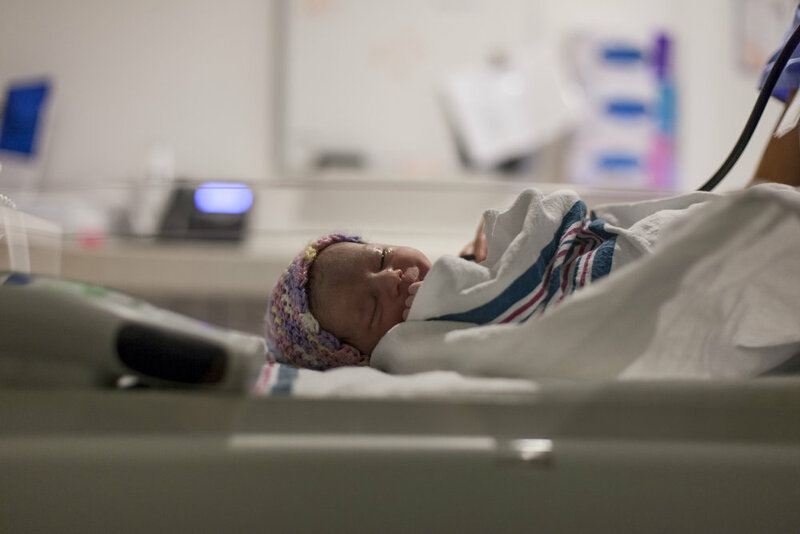 I had every intention of photographing her birth, however she was born in Princess Margaret Hospital which is even more limiting with what is allowed during labor. I had to get permission from the hospital to photograph the birth. Sarah had the same doctor who once again had no problem with me capturing the birth story, but the nurse assigned to Sarah’s labor just would not allow me in the room. It was very frustrating at the time and I still regret to this day not being able to photograph Abby’s birth. It has made me more aware of what to look for in a birthing facility and to be more vocal in what I desire during labor. I encourage all you expecting mommies out there to do the same! 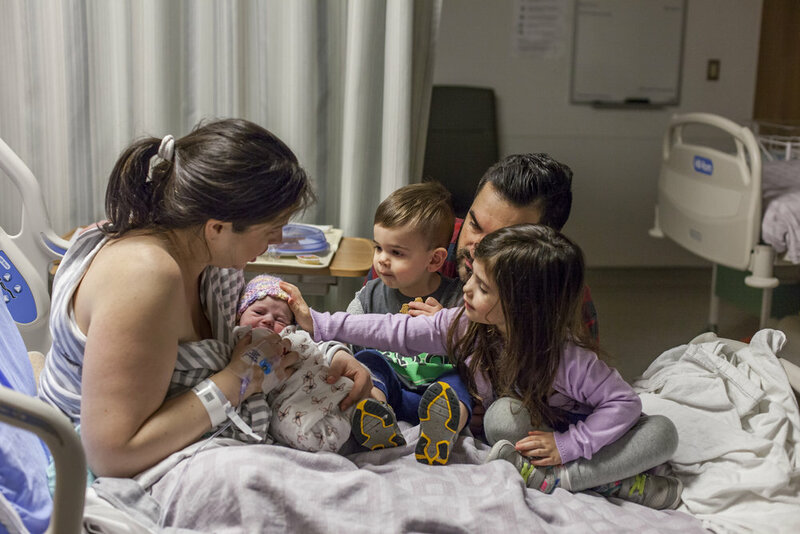 Take your birth story into your own hands and have the type of labor you wish to have!